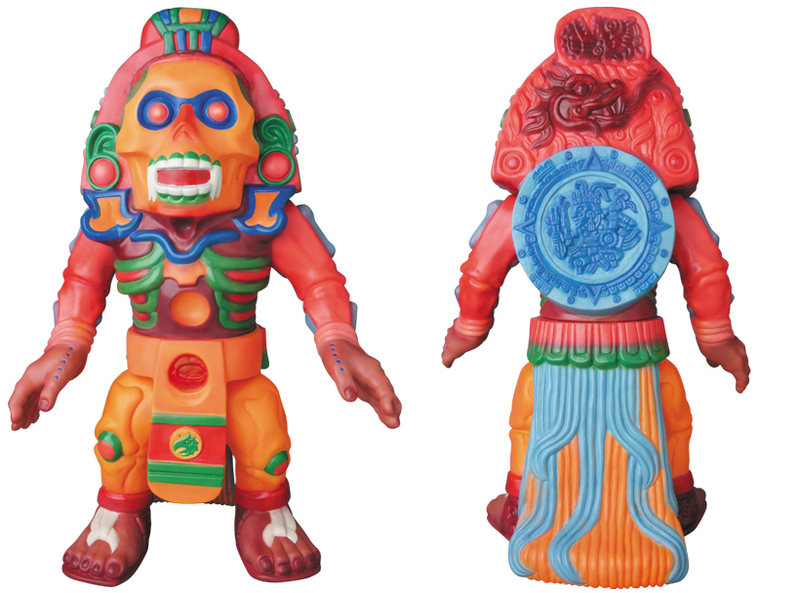 MAN-E-NEWS// The Hinomaru-ya exclusive “Requiemer of Sun and Death” sofubi from GEEK! 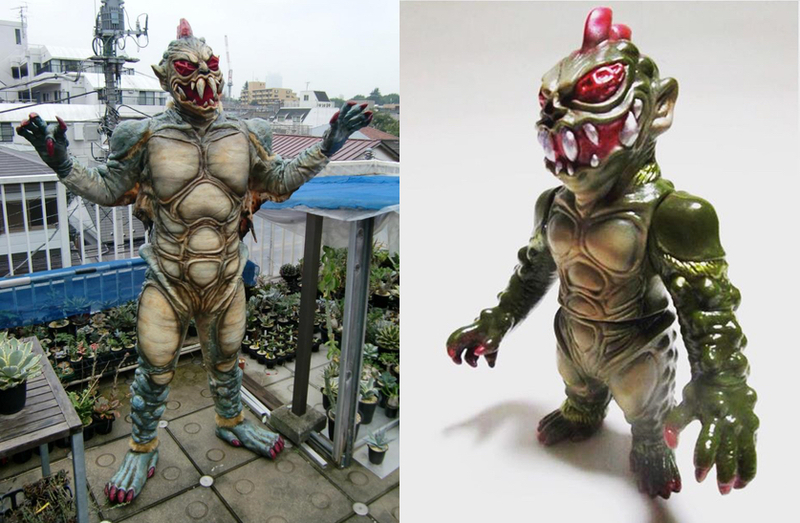 BLObPUS has revealed that he will be unleashing a new version of his collaboration with Hinomaru-Ya – the Kai Gentleman – as part of One-Up‘s 14th Anniversary celebrations this weekend! 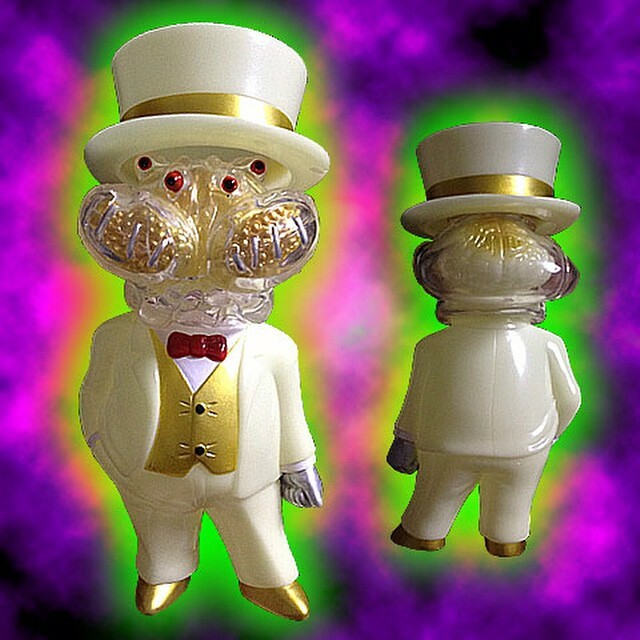 The second colorway of the figure to come in a mix of GID and clear soft vinyl, the 6″ tall piece has been treated to a mix of gold, white, silver and red sprays complete with GID brain insert and removable top hat. Likely to come in at around 5,500yen ($46) each, the One-Up anniversary exclusive Kai Gentlemen will be up for grabs at their Nakano-based store from Saturday, April 4th. Here’s hoping a few trickle onto their online store soon after!